Of all the Avengers taking part in the battle to end all battles, Vision is one of the heroes who’s most in danger from the might of Thanos and his minions in Avengers: Infinity War. While the rest are just protecting the Infinity Stones from the clutches of the Mad Titan, Vision owes his life to the Mind Stone which sits in his noggin. As we know, the Black Order, Thanos’ deadly adoptive children, will definitely attack the android during the film in an attempt to prize the coveted gem from his head. Thankfully, though, Captain America and his Secret Avengers will arrive just in time to save him. However, Vision is still badly injured, meaning he needs to be taken to a familiar MCU location to get stitched up. During a set visit from last year, Paul Bettany revealed to ComicBook.com the real reason Wakanda will be home to the big climactic battle of Infinity War. And it’s that Vision is in such a bad state that the technologically-advanced nation is the only place in the world with the right know-how to patch him up. We saw in Black Panther that Wakanda has the tech to treat even life-threatening wounds – like Everett Ross’ spinal injury – and unwrite mental brainwashing – Bucky Barnes is now cured – so Vision should be in safe hands there. However, Thanos isn’t going to stop after just one attempt on the android’s life. This last suggestion seems a lot more plausible than the others. Could this actually occur in the film, though? 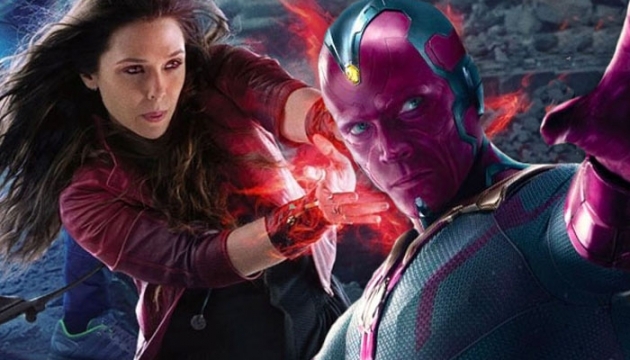 The trailers for Infinity War have shown Paul Bettany appearing without any of his red and green make-up for once, which does heavily suggest Vision will find himself a way to appear human in the movie. Time will ultimately tell, but the character’s fate may well be revealed when Avengers: Infinity War arrives on April 27th.